Here is a variety of optional excursions for you to enjoy while in resort, at your leisure. Optional excursions can be pre-booked or reserved while in Luosto. 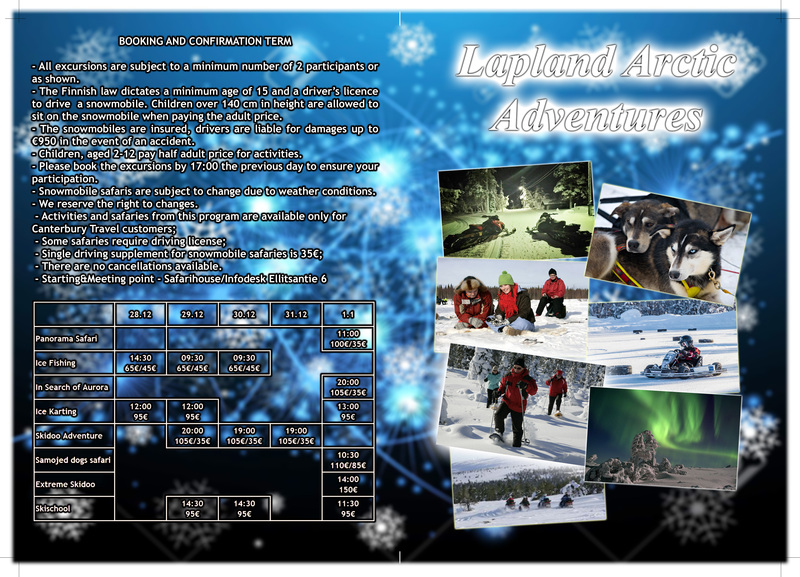 Such excursions in Luosto include Ice Karting, Cross Country Skiing, Ice Climbing and Ice Fishing (subject to availability, additional charges apply). Please, note, that Adventures In Luosto exclusively provides all tours from the New Year program only for Canterbury Travel customers.